Jackson County Courthouse #1 | Historic Jacksonville, Inc. The first Jackson County Courthouse erected on Jacksonville’s Courthouse Square on North 5th Street was a 2-story clapboard structure dedicated March 6, 1859, by the Warren Lodge No. 10 of Free and Accepted Masons as a Masonic Hall. Shortly afterwards, the Masons leased the first floor to the County for court use. For 6 years previously, court proceedings had been held in various town structures including the New State Hotel and the Methodist Episcopal Church. 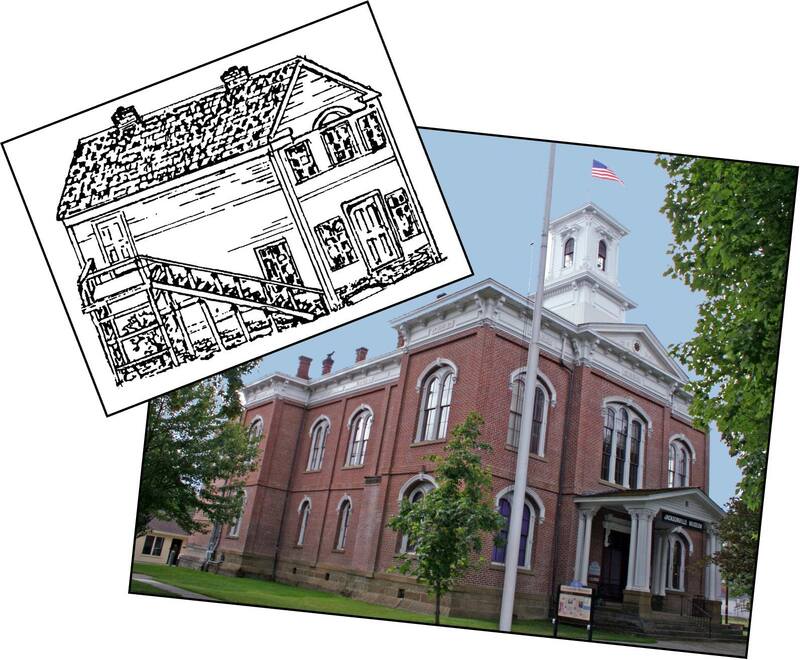 In 1867, the Masons relinquished their 2nd floor space to the Jackson County Commissioners and for the next 15 years, the County’s first Courthouse was used not only by the commissioners, judges, and county officials, but also by private local lawyers.